Finistere is one of the 4 departments that forms Brittany. Not only is it the most westerly department of Brittany, but also of all the French departments (excluding overseas territories). 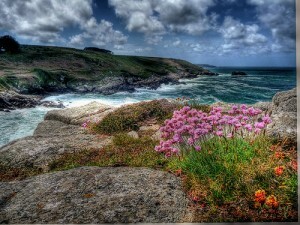 The coastline around Finistere accounts for nearly a quarter of all the French coastline with around 1250km of coast. Brittany property on the coast is more expensive but prices drop as you move inland. Several large towns are located within Finistere including Brest, Morlaix, Carhaix and Douarnenez. Much of the city had to be rebuilt after the Second World War. Brest is now a popular university city and is home to the French Naval Accademy. For travellers there is an airport located at Brest and a ferry port at Roscoff served by Brittany Ferries and Irish Ferries. Morlaix has one of the tallest lighthouses in France, the Phare de L’ile Vierge, and in the old part of town you will find cobbled streets and stone and timber houses. The landscape in this area is diverse with the Mounts d’Arrée, sandy beaches and rivers. The Monts D ‘Arrée hills are infact one of the oldest geological formations, older than the Alps.